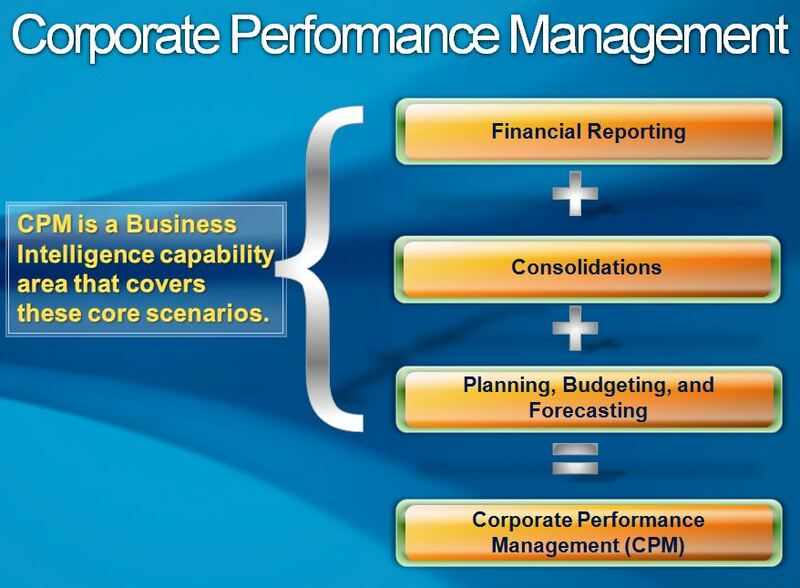 Management Reporter (MR) is the replacement for FRx. 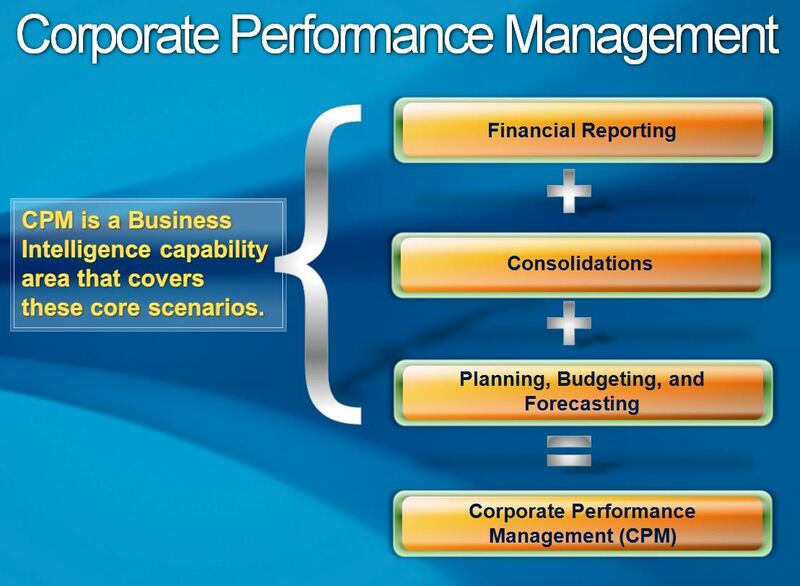 However, MR is one part within Microsoft’s future product vision in which they’re making a significant development investment called Corporate Performance Management (CPM) that includes financial reporting, consolidations, and planning/budgeting. 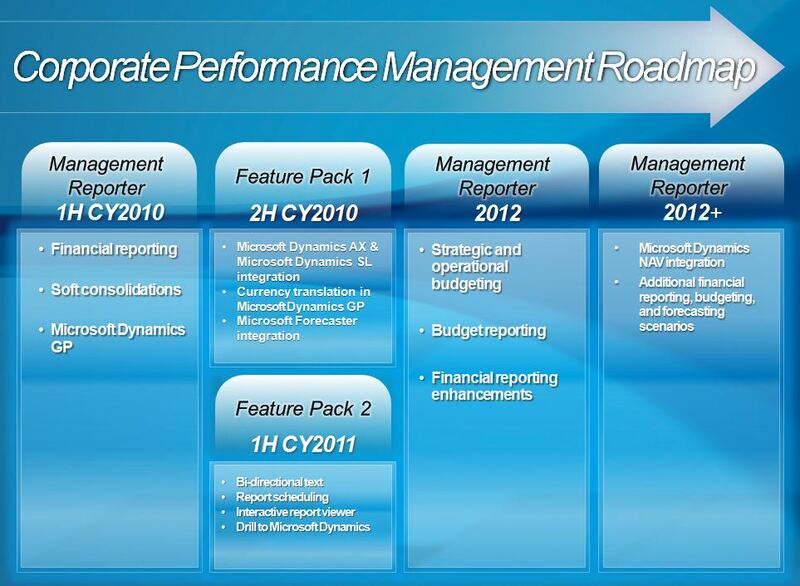 Here is the product roadmap for CPM and the features released over the next several years. The roadmap for consolidations is different than FRx, (reporting) currency translation will be handled within Dynamics GP. Dynamics GP companies will be able to add a reporting currency in which MR can report for consolidations. The feature has to be part of an existing module so I will guess it will be part of the Multi-Currency module. This is expected in the feature pack to be released in late 2010. 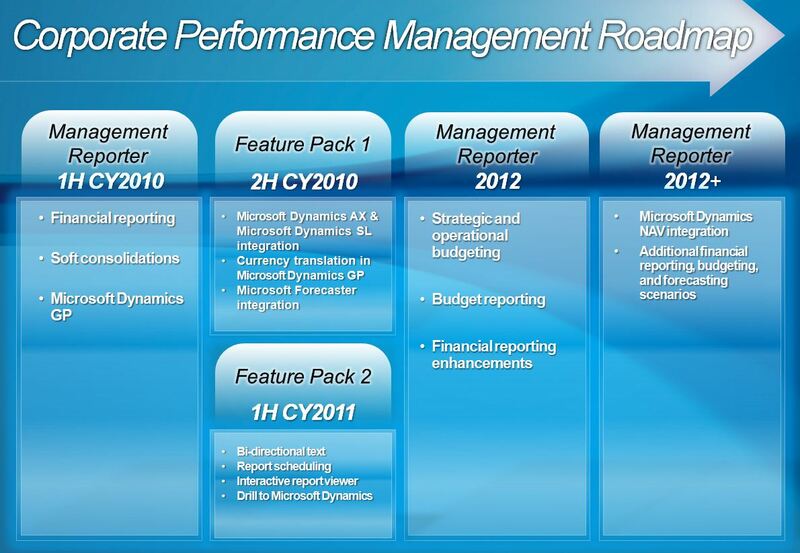 Forecaster is Microsoft’s budgeting tool but will be replaced by CPM in 2012+. In the real world of release dates this could be 2014 so there’s quite a bit of life left in Forecaster as long as users can accept the lack of any new features or limited bug fixes. This entry was posted in Management Reporter. Bookmark the permalink.